El Maestro’s House, St. Malo, Louisiana, 1883. Filipino La. includes a Wikipedia-style encyclopedia on the culture and history of Filipinos in Louisiana. The encyclopedia allows us to share our stories and document our history, and introduce digital communities around the United States and across the globe to Filipino Louisiana. We encourage community members to contribute to the Filipino La. Encyclopedia. Serving Crawfish at 2016 FAAST Easter Celebration. Every family has a unique story about what brought them to Louisiana, how they made a life in the state, and what ways they held on to Filipino culture. Share your family’s story. There are numerous Filipino American professional and community groups in Louisiana. Share your organization’s story. Organization leaders can complete the Organization Survey. Do you put crab boil in your adobo? 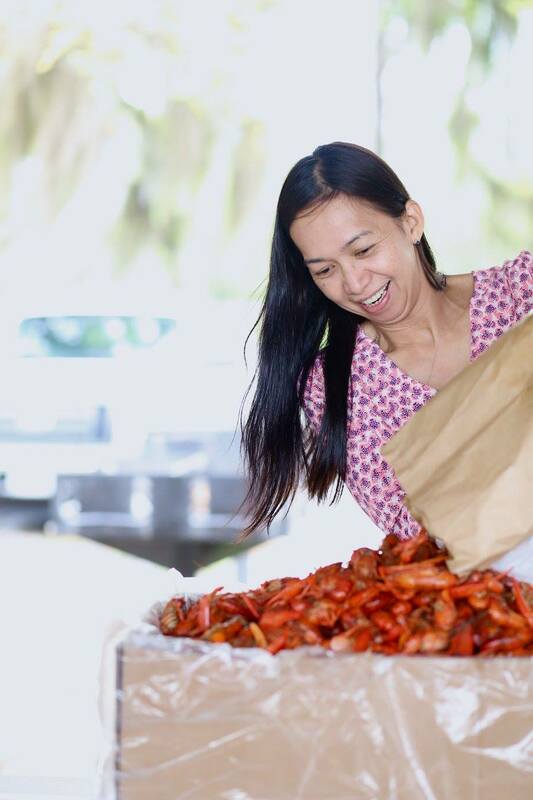 Add crawfish to your boodle fight? Tell us the unique ways that you have merged Filipino ways with Louisiana ways. Are you a community historian? Contribute knowledge of historical events or political actions that impacted Filipinos in Louisiana. Are you a community historian or activist? Contribute knowledge of historical events or political actions that impacted Filipinos in Louisiana. Send us the information you want to share. Complete standard forms like the Organization Survey. More forms are on the way. Contact us to arrange an oral interview. Request login privileges, so you can contribute directly to the encyclopedia.